Home / News / Dunny Hunt ’09 NYC! The hunt begins tomorrow at 10am on the streets of New York City! 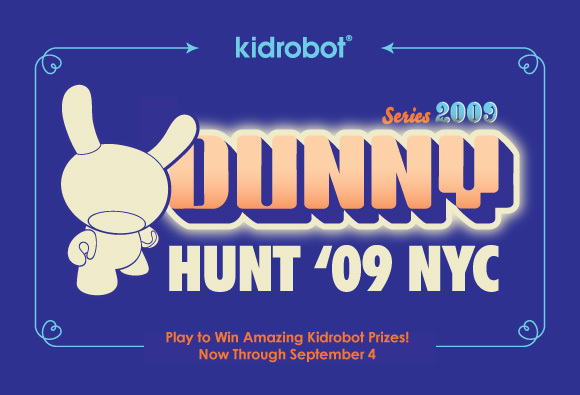 Find and collect your own set of virtual Dunnys from Series 2009 and win huge prizes, including a full set of DS2009! Check out the Dunny Hunt web site to learn how to play and to set up your iPhone or Blackberry. The post Dunny Hunt ’09 NYC! appeared first on Kidrobot Blog.